ZIFA, a wholly-owned subsidiary of the Pinnacle Business Group, Inc., was formed by John Zachman and Samuel (Sam) Holcman. ZIFA’s published mission statement was “…to exercise the Zachman Framework for advancing the conceptual and implementation states of the art in Enterprise Architecture”. John devoted his efforts to advancing the understanding of his framework (conceptual states), and Sam devoted his efforts to understanding and implementing the framework concepts through methodology development, framework elaborations, and actual client-based Enterprise Architecture consulting engagements (implementation states). Under ZIFA, John and Sam conducted numerous annual conferences, and education seminars. John maintained a “neutral” stance to all, including not “endorsing” works and efforts in Enterprise Architecture that are not his direct personal efforts. He felt that he could not “endorse” any approach, methodology, or technique. The general marketplace was, and is still somewhat confused, as to the separate but related understandings of the differences between frameworks and methodologies. This situation resulted in numerous organizations developing their own framework/methodology hybrids – a very unfortunate situation for the Enterprise Architecture profession and marketplace. People interested in Enterprise Architecture were continually asking, not just, what is a framework, or what is Enterprise Architecture, but how do we actually develop an Enterprise Architecture. Without a strong coupling between a framework and a methodology, there is significantly less value to those that want to “do” Enterprise Architecture. Enterprise Architecture advancements have come, and will come, from both theory and practice – with practice enhancing and validating the theoretical basis of Enterprise Architecture. John decided he could not “partner” directly with any individual, and maintain his neutrality. John continues to advance his framework understanding. Sam continues to advance Enterprise Architecture through research and practice, in both frameworks and methodologies. Therefore, there was no reason to maintain the ZIFA entity. 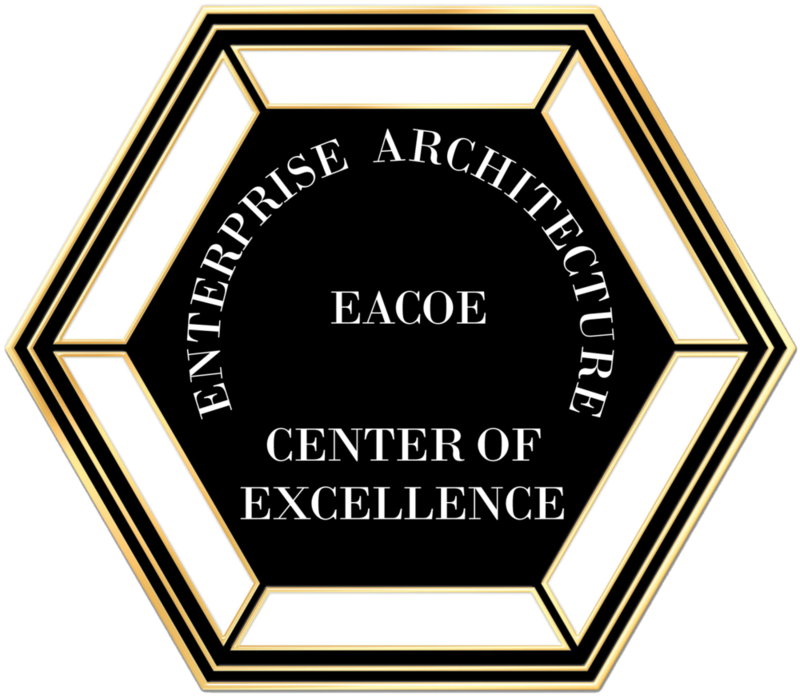 The Enterprise Architecture Center Of Excellence (EACOE), a wholly-owned subsidiary of the Pinnacle Business Group, Inc., maintains the mission of advancing the conceptual and implementation states of the art in Enterprise Architecture.